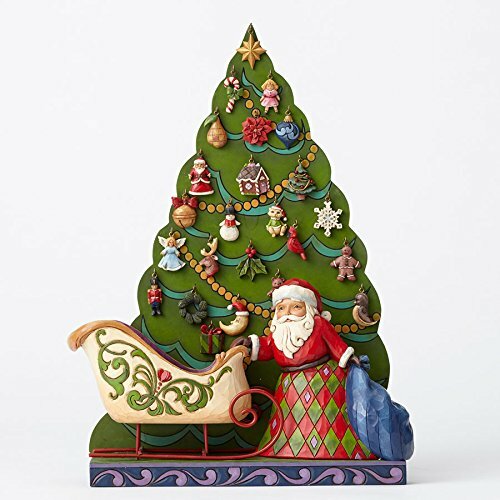 Jim Shore HWC Figurine Set/25 Santa/Sleigh Figurine Jim Shores Advent Calendar features Santa with a sleigh full of ornaments to countdown the days until Christmas. Each day move an ornament from the sleigh to the tree. When the last one hung- the magical day has arrived! Enjoy this gift year after year. If you have any questions about this product by Jim Shore, contact us by completing and submitting the form below. If you are looking for a specif part number, please include it with your message.